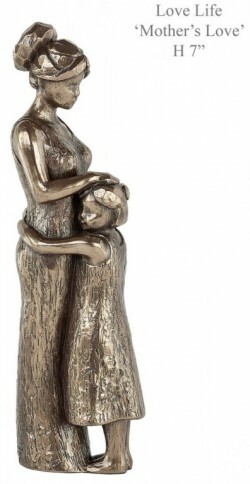 A modern figurine showing mother and daughter hugging. Made from cold cast bronze and hand finished to perfection. Fully felted on the bottom to protect surfaces. Part of the Genesis Bronze Love Life range: producing high quality giftware for over 20 years now. Nicely boxed. Includes Gift Tag.